Inside Veganz, a vegan supermarket in Berlin. Flickr/Josefine Stenudd via Wikimedia Commons. CC 1.0 Universal. The slaughterhouse: as a locus of elemental horror it’s surely sited near the foot of hell. A grind-core kitchen of mechanical death; a bone-yard of plenty; an acre of flesh; a dead weight of muscle, blood and spine. This image is at once real and rhetorical, its cruel rationale demanding the type of language usually reserved for myth or nightmare yet actual and abiding, and even championed by BBC Countryfile presenter Tom Heap as a necessary schoolyard excursion. The same image was also the visual focus of a recent workshop on veganism I attended at the Food for Thought Festival held at Edge Hill University in the north west of England. Nine of us sat in a small lecture room—eight vegans and one vegetarian. Taken quickly and credibly through the health and environmental benefits of a vegan diet, it readily became apparent that the session’s centre of attention was animal advocacy. And so it came to pass. Ignoring the fact that everybody in the room had already stopped eating meat, the workshop became a site of collective penance in which to martyr ourselves for the sins of others. Look at this torture. Look at this heartache. The burden of the omnivores must be ours. Downstairs however, the atmosphere was different. The festival’s main space had been transformed into a busy vegan market, with vendors displaying everything from candles and confectionery to juices and junk food. The whole enterprise was fun, friendly and informative, full of aspiration and—perhaps most significantly—sheer ordinariness. Everything was vegan, but the aesthetic wasn’t something removed from everyday life. Don’t attend this market to be worthy but to be healthy seemed to be the message. Don’t purchase this candle to be ethical but because it smells great. In building support for veganism this seems sensible to me, and perhaps more effective as a strategy than the temporary shock value of images from the slaughterhouse. Can negative imagery play a decisive role in the movement’s maturation from fringe to mainstream, or does the advance of veganism in popular culture render such tactics irrelevant? The UK is reputedly home to over three-and-a-half million vegans—an increase of more than 500 per cent in just two years—while the Vegan Society reports that over half of all adults now follow vegan buying behaviour. 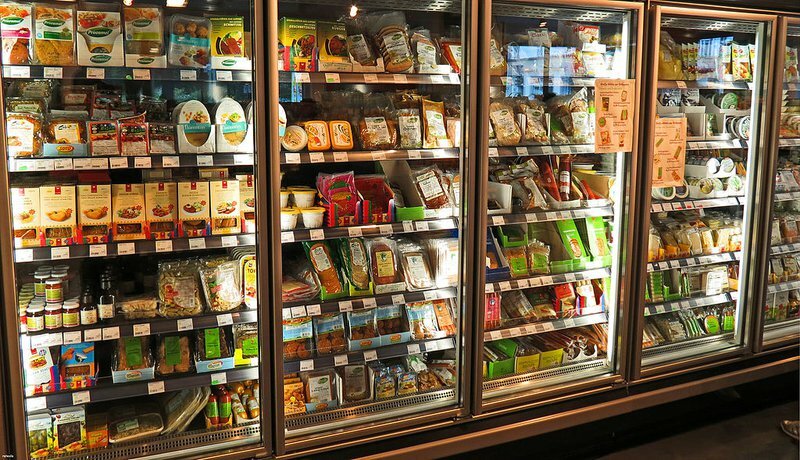 Britain’s biggest supermarkets are clamouring to catch up, with 200 million more meat-free meals eaten in 2017 than in the previous year, and an additional £30 million spent on meat-free products. Meanwhile Veganuary has seen the number of registered participants rise from 59,500 in 2017 to 168,500 in 2018. Google Trends showed a 525 per cent increase in searches for the term ‘vegan’ between January 2014 and January 2018. Clearly, the growth of vegan culture has been exponential, but the traditional provocation of graphic imagery may not be the primary cause. In 2018 for example, for the first time health and environmental concerns surpassed animal welfare as the top reasons for registering with Veganuary, while NeoReach’s top ten Vegan Influencers on Instagram now concern themselves exclusively with healthy living and environmentalism. Of the ten most subscribed-to vegan channels on YouTube, nine are food and lifestyle-based and the tenth (“The Dodo”) focuses on feel-good narratives. With around 40 per cent of vegans in the UK aged between 15 and 34, online and social media spaces are pivotal for information and advocacy, and it’s in these spaces that the movement must compete with lifestyle blogs, recipe websites, celebrity news, and #catsofinstagram. When the noted vegan actor and singer Jared Leto’s Instagram count exceeds PETA’s by over nine million people, and the plant-based food channel BOSH!’s Facebook followers outnumber Compassion in World Farming’s by a factor of fifteen-to-one, it makes sense to shift veganism’s primary mode of evangelisation from shock to swank and from horror to hipster. Admittedly this view derogates the cultural message of explicit advocacy documentaries such as Earthlings. If a key component of veganism’s rise has been the co-option of mainstream media combined with digital availability, then Amazon and Netflix have bestowed a kind of cultural commonplace on the deployment of graphic imagery, with Cowspiracy, which interrogates the environmental impact of the animal agriculture industry, now as accessible as Captain America. Anecdotal evidence for these films as catalysts for change cannot be discounted. However, appraising the efficacy of either approach rigorously is fraught with difficulty. Barbara McDonald’s 2000 study into vegan adoption strategies found that emotional shocks could be effective catalytic experiences; but Marie Mika’s 2006 research into non-activists’ responses to shocking imagery cast doubt on its ability to persuade. Neither is there any systematic evidence to gauge the extent to which viewers of Earthlings are self-selecting or casual, already on the road to veganism or unwitting carnivores. Nor do we know how many of the 1.5 million followers of the Best of Vegan Instagram account are actually vegan, vegetarian, flexitarian, omnivore, or something else entirely. It’s precisely this broadening out that vexes many vegans, who argue that veganism without a moral basis is not veganism at all—it’s just a diet instead of a doctrine; a lifestyle rather than a different way of living. Such faddish co-option gives the impression of a problem being solved while actually obscuring the perpetuation of cruelty against animals. Despite the rise of veganism in mainstream culture and the increasing availability of vegan products in our supermarkets, there is yet to be any significant drop in the consumption of animal products. In the UK for example, the volume of meat production for April 2018 rose year-on-year by 13 per cent for beef and 18 per cent for pig meat, while consumer spending across all meat purchases increased by one percentage point. Meanwhile, production of milk and cheese rose by around one per cent in 2017. This goes some way to explaining why many of the vegan faithful—as opposed to the greenhorn fashionistas of social media—continue to utilise shock advocacy tactics. There is both moral purity and ethical clarity in confronting scenes of suffering directly, a strategy that refuses to accept that compassion can be divorced from justice and sees Meatless Mondays and Veganuary as little more than welfarist enterprises that fail to foster any fundamental changes in attitudes and behaviour. By making veganism ‘too easy’ we may misappropriate its necessary righteousness. The problem with this critique is that pragmatism really matters: attitudes and behaviour transform to different beats. Behaviour change relies on more than information. It’s contingent on adjusting circumstances, removing barriers and offering incentives. It isn’t theoretical but practical and experiential. It is Meatless Mondays and healthy living and five hundred likes on Instagram. These things are perhaps the surest way to shift beliefs among less partisan members of the public. Despite the occasional Earthlings conversion story, the truth is that such Damascene moments are exceptional. Behaviour change is more commonly messy and incremental, with attitudinal change evolving in its wake. It is unrealistic to expect that one set of tactics will lead to a swift and total vegan adoption across the general population. A strategy of shock and awe can be seen as contrary to a strategy of incrementalism, but does this mean we should ignore the indecencies of tearing calves from their mothers, or slaughtering sentient, intelligent creatures by the truckload? Plainly not: there are multiple means to the same end, and these means rely heavily on social context and circumstances. In my case I didn’t feel I could leave that blood-soaked workshop at Edge Hill University and sell the vegan message successfully to the unconverted. But I could say ‘try this brownie’ and ‘smell this soap’ and most of all, enjoy the experience without having nightmares. The truth is I felt relieved that there were no carnivores in the room that day. For implicit in the counsel that ‘you may wish to look away’ is the invitation to disconnect. It sounded like a self-defeating premise, and what use is that? I left the event dispirited rather than energised. Horror had overshadowed hope. Rather than shock and awe we need normalisation and encouragement. Incrementalism is better than no change at all, even if it means softening our ideological stance. The careless imposition of imagery that is repulsive risks repelling many of those we want to attract to the vegan cause. There’s no need to turn away from action on the suffering of animals, but images of gothic horror can do more harm than good.